At the Kiwanis, our raison d’être is helping children. Children at risk. Underserved children. The children who need help most. 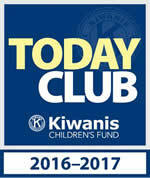 The Kiwanis Club of Wantagh achieved Blue-level Today Club status for the 2016–17 Kiwanis year. That means that unrestricted gifts and the unrestricted gifts from our club members to the Kiwanis Children’s Fund reached a per-member giving average of $10.